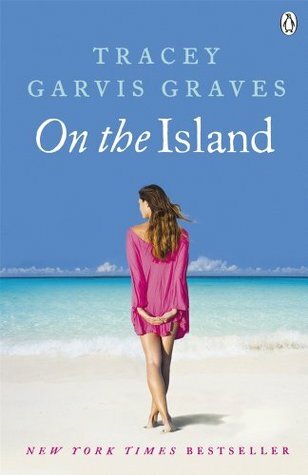 An AToMR Event - Review: ON THE ISLAND by Tracey Garvis Graves + Giveaway! Click banner for full schedule! Two people stranded on an island struggle to survive—and slowly fall in love—in the runaway New York Times bestseller, now available with a reading group guide and a letter from the author. On the Island is an example of exemplary storytelling! Tracey Garvis Graves knows how to incite emotions in readers when weaving familiar events into a breathtaking fictional story. Anna and T.J. captivate their audience through their chemistry, love, and shared hardships. There's more to On the Island than a recount of daily activities when Anna and T.J. are stranded on an island in the Maldives. There's a flow to Graves' writing that inclines readers to focus on the characters and thoughts. Their words carry more weight when their actions are limited, and the perspectives changing with each consecutive chapter allows readers to know the characters more personally. Devastation after devastation takes hold of Anna and T.J. Hearts will race as each worry and tragedy seems so profound that the reader experiences them as well. Readers will be able to agree that On the Island is a summer favorite and an impossible to put down read. Surviving while stranded on an island is a popular 'what if' situation in films and T.V., but Graves takes it to a whole new level! **Thank you for participating in the ON THE ISLAND Event! This week in addition to reviews and posts, select blogs are hosting a word from the author's favorite quotes in the book as a Scavenger Hunt! There is one quote from Anna and one from T.J. Visit each stop this week to find the hidden words (they will be numbered for order) and after July 22nd, submit your answer to the quotes here! Random winners for books and swag will be chosen and notified by July 29th. **Also, next week July 23-27, there will be even more events and chances to win the book and swag! ON THE ISLAND released in bookstores Tuesday, July 10th! If you see the book in stores or 'in the wild' take a picture. Please tweet it and use hashtag #ontheisland. Or you can post it to facebook! Please submit twitter and facebook links of your post/tweet here! All entries need to be submitted by July 29th.